The Plymouth City Museum and Art Gallery has been actively collecting since 1897. Their fantastic collections have grown largely due to the generosity of generations of Plymothians who have donated objects to the museum. The ethnographic collections consist of approximately 3700 objects from Asia, Oceania, Africa and the Americas, as well as some from Europe. Object types range from weaponry, tools and utensils to games, clothing and ceremonial objects. Significant Oceanic collections housed in the museum include Harry Moore Dauncey's Papua New Guinean material, the Carwithen Collection of more than 300 clubs (most of which are from Fiji) and nearly 40 Australian items, including 6 Tasmanian necklaces. 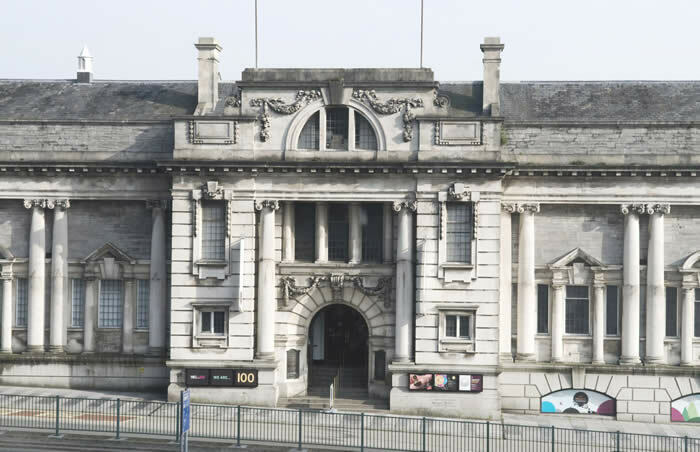 The outside of the Plymouth City Museum and Art Gallery (photo: Plymouth City Museum and Art Gallery).